Whether it’s an all-new Akka variation or a 4-rev ATW, both street football and freestyle are consistently improving and reaching new levels that were previously thought impossible. While each sport has its own creative edge that differentiates it from the other, they are both equally effective when it comes to impressing audiences with live performances and video content. Being that they are often grouped together, we can’t help but compare the two. With that being said, we’ve curated a list of up-and-coming athletes in each sport with some even trying their hand at both. 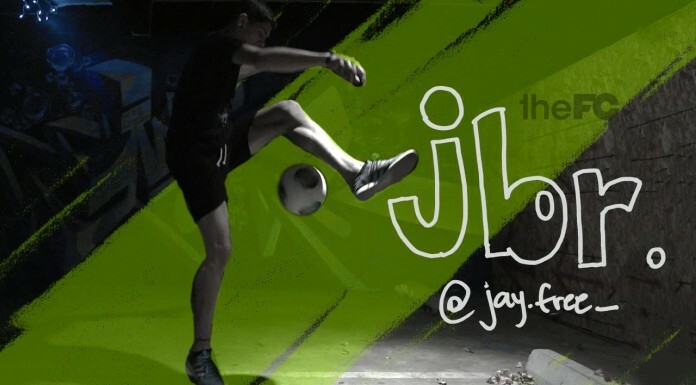 Twenty-one-year-old Ayi Yulyan Ahmad has his roots in futsal, but after his team broke up, he started to play in the streets. He also has some freestyle skills to boot, and though he’s just getting his start in both realms, with some hard work and dedication, there’s no telling where his game will take him. Do you remember what you were doing at 7 years old? We bet that it isn’t what young baller Toy-Chang is doing. Not only does he have some smooth ground moves as shown below, but he recently landed his first ATW — pretty impressive if you ask us. Hailing from the Netherlands, 16-year-old Jermaine Curiel may be a beginner, but don’t underestimate how fast this kid can learn. Claiming to have started just a few weeks ago (!! ), Curiel already has some fancy footwork under his belt. Could it be inspiration from his favorite players Neymar and Touzani? While this might not be exactly freestyle or street football, you can’t deny that it’s still pretty cool. Nineteen-year-old Polish baller Dawid Urban’s creativity has led to plenty of other shots like this, captivating an audience of over 17,000 subscribers on his YouTube Channel. Though he’s only been practicing for three years, Swiss baller Kevin Nguyen is starting to get a hang of his ground moves and Akkas. At 21 years of age, there’s still plenty of room for growth, and we won’t be surprised if we see more of him in the future. 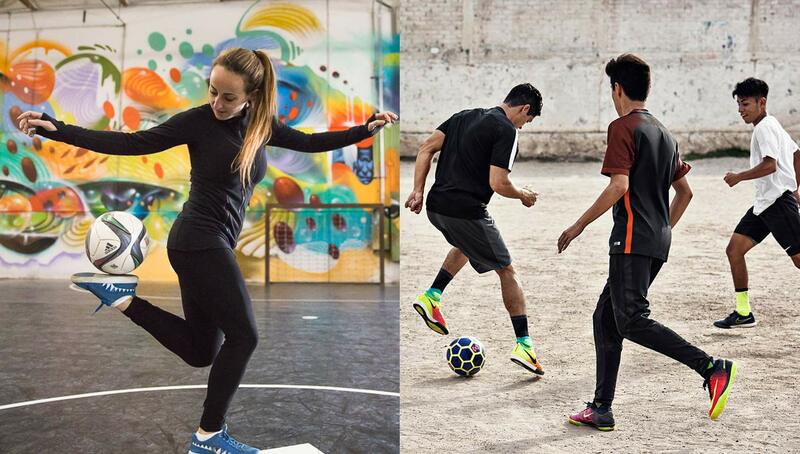 It’s no secret that Argentina is home to some of the world’s top football talent, not only in the traditional game but on the streets as well. At 18 years old, Roa Nahuel is starting to make a name for himself, particularly with his impressive lowers arsenal that includes multiple Clipper variations. Another dual threat, Japanese baller Chick incorporates some Slap variations to his saucy ground moves for a unique combo of street and freestyle. 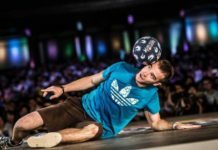 Traveling the world in the name of the beautiful game, Rene Mathussek of Germany is one of the most accomplished commercial freestylers in the world — and his smooth skills will show you why. When it comes to players that not only catch your eyes for their talent, but also some catchy video editing, Hamasaki Hiroki is one of the dopest talents around. Everything from his breakdance-inspired skills to his outfits are absolutely dripping in swag. In the street football hotbed of Belgium, one name that has become increasingly prominent is Hakim Amrani. 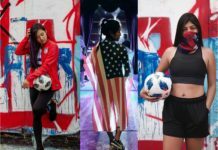 The 21-year-old has already won several major tournaments, including the World Panna Street Skills Battle and European Panna KO. His individual skills are off the charts, but his overall goal in the sport isn’t more championships, but to spread the culture and community all over the world. Want to be featured on the next Top 10 Tekkers? Make sure you tag the Urban Pitch Instagram and use the #urbanpitch and #top10tekkers tags on your posts! Chelsea F.C. and Adidas Host “First-Class” Youth Tournament in L.A.